ACHIEVEMENTS: Agro-Input Supplies Limited (AISL) sold 557,000 packets of Nitrofix to about 80,000 smallholder farmers, resulting in more than $200,000 in sales. 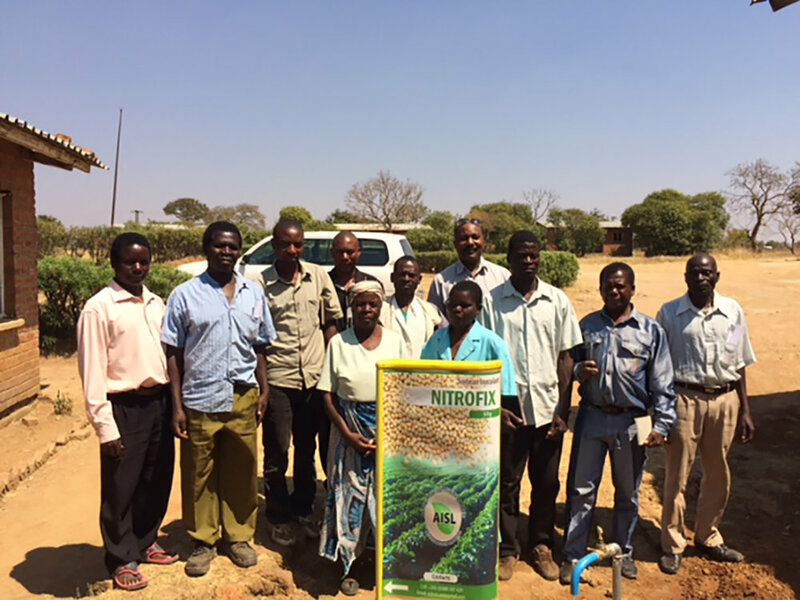 PURPOSE: Use the program partnership’s two-year time period to commercialize Nitrofix, a legume inoculant that contains rhizobia bacteria that boost legumes’ natural nitrogen fixation. APPROACH: To increase the availability and proper use of Nitrofix, AISL sold the product through 25 agrodealers. It also set up 116 demonstration plots and organized 50 farmer field days to show the difference between soybeans planted with and without Nitrofix.